Due to the loss of our home and workshop we are not able to fill any orders at this time. 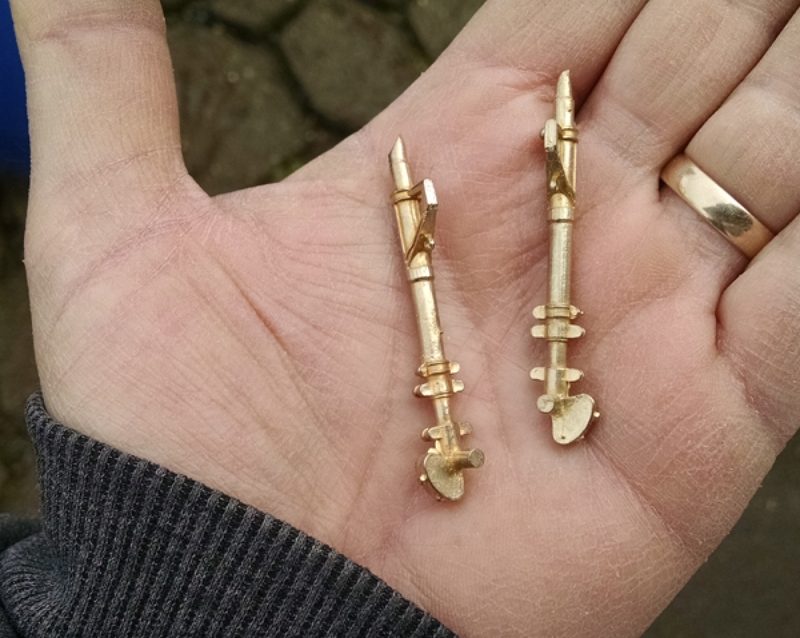 A piar of bulletproof investment cast brass main landing gear legs for your Skyray kit.If you have any concerns about the landing gear giving way over time these will definitely do the job.Made for us by G-Factor Models, these are a direct replacement for the wire reinforced resin kit parts. Contents Copyright 2014 , All rights reserved.